What is a AU plugin ? Apple’s proprietary audio technology, part of the Core Audio provided by Mac X OS. It is part of the operating system so it provides low latency and system-level support for the interface. Most DAWs developed for the Macs support the AudioUnits interface due to its stability and system-level solutions (which also means faster processing). Ableton Live, Bitwig Studio, Logic 9 / X, Cubase Pro, Garage Band, Presonus Studio One and many others. 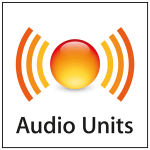 AU plugins are presented as a two general types: effects and instruments. How to Install AU plugin ? Unzip the downloaded file if it is an archive like .zip or .rar or open original .dmg file. You should only see a file with a .component extension. This is the actual file for AU type of plugins. Move the .component file to the Components folder in your audio plugins folder (HD/Library/Audio/Plugins/Components). Launch your favorite DAW and wait for finish of plugins scanning. Now you can work with your new plugins inside DAW. What is a VST plugin ? Introduced by Steinberg in 1996 in Cubase ver. 3.02. It is the most known interface type for effects and instruments. As of today VST has evolved into its 3rd version and is commonly referred to as VST3. You may also come across VSTi which simply stands for VST Instrument – it does not have any different the technical requirements, however. VST is the most widely implemented standard in the industry and is supported by (this list is not exhaustive): Ableton Live, Cubase Pro, Bitwig Studio, Presonus Studio One, Nuendo, FL Studio, Sonar. VST plugins are presented as a two general types: effects and instruments. Anyone making digital music prior to 1996 used their DAW to control keyboards and samplers via midi and then routed all their external hardware through a traditional mixing desk. With the release of Cubase 3.02 Steinberg announced the VST interface specification which allowed a new bread of software developers to recreate all those bulky effects units as VST plugins. A few years later in 1999 they updated things allowing VST plugins to receive midi data. This changed the game even further as it was now possible to recreate keyboards, synths and drum machines too. This upgrade saw the birth of the Virtual Studio Technology Instrument or VSTi for shot. In more recent years things have moved improved further with VSTs now being able to process audio in 64 bit, allow audio inputs, multiple midi ins & outs and note expression. How to Install VST plugin (Windows) ? Most VST plugins or instruments are packaged in one of two ways. Smaller plugins come as a single .dll file and are the simplest to install. Most DAWs such as Cubase, Ableton, FL Studio require you to simply copy and paste the .dll file into a plugins directory within the main folder where you installed your software. Once you have done that you should restart your DAW and then your new plugin will be available to use. Bigger, more complicated and often more expensive VST plugins and Virtual Instruments are often sold as .exe files that require you to manually install them the same way you would install any other software package. 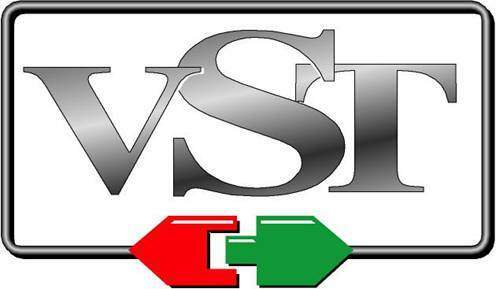 How to Install VST plugin (Mac) ? Unzip the downloaded file if it is an archive like .zip or .rar or open original .dmg file. You should only see a file with a .vst extension. This is the actual file for VST type of plugins. Move the .vst file to the VST folder in your audio plugins folder (HD/Library/Audio/Plugins/VST). Launch your favorite DAW and wait for finish of plugins scanning. Now you can work with your new plugins inside DAW.